Tai Chi Chuan - Tai Chi Cross Training. Tai Chi Chuan or “Supreme Ultimate Boxing” is one of the finest products of Chinese philosophy and culture, based upon the principles of the I Ching (Book of Changes) and the philosophy of Lao Tze. It was created by a Taoist named Chang San-Feng, of the Sung Dynasty. There were originally 13 postures: Ward-Off, Roll Back, Press, Push, Pull, Split, Elbow-Stroke, Shoulder-Stroke, Advance, Retreat, Gaze to left, Look to Right, and Central Equilibrium. It is a system of rounded, fluid and balanced movements to be practiced daily for improved health & peace of mind. The fundamental principles are based on the 3 Tai Chi Classics, and should be researched, studied and integrated into your practice. Initially the practice should be focused on developing and concentrating the Qi (intrinsic energy), while practicing Tai Chi in a light, agile and relaxed manner, with the mind leading the movement of the Qi. When the movements have been mastered, Qi developed, and one’s equilibrium stable, the movements of Tai Chi can be employed in self defence applications to neutralise aggressive actions directed at oneself, and to counterattack accordingly. Ever since the founder of Yang Style Tai Chi Chuan Yang Lu Chan, his sons Yang Ban Hou and Yang Jian Hou, his grandsons Yang Shao Hou and Yang Cheng Fu, and his great-grandsons Yang Zhen Ming, Yang Zhen Ji, Yang Zhen Duo, and Yang Zhen Guo have all worked together to research, change, develop, and spread Tai Chi Chuan. Yang Style Tai Chi Chuan has become extended and graceful, carefully structured, relaxed, gentle and flowing, while still maintaining the martial arts aspects. It is also a method for improving health and curing illness. Tai Chi Chuan is loved by tens of millions of practitioners, spreading Tai Chi Chuan at home and abroad. It has become the most popular of all Chinese martial arts, providing a remarkable contribution to the health of mankind. Yang Zhao Qing, called Cheng Fu, or just “3rd Son”, was born in 1883 and died in 1936. He started receiving his father’s teachings at an early age. During his youth he worked hard at making a careful study of Tai Chi, practicing hard through both summer and winter with his skill increasing daily. Eventually he became a celebrated martial artist. In order to adapt to the changing needs of society, Yang Cheng Fu began with his father’s revised middle frame, and made further revisions. He gradually established the Yang family large frame, becoming the most widespread of today’s Yang styles. The large frame postures established by Yang Cheng Fu in his older years are open and extended, simple and direct. The structure is compact and precise, with body alignment maintained in movement. The movements are gentle and flowing, and performed at an even speed. There is combined hardness and softness, lightness and heaviness. All of these characteristics make it the representative standard form for Yang Style Tai Chi Chuan, serving as the pattern for all those who would follow in its study. The form established by Yang Cheng Fu can be performed in a high, medium, or low stance. Thus, the degree of difficulty can be adjusted according to the one’s requirements and condition. The form retains the martial arts aspects of attack and defence, and is suitable for strengthening the body, improving health, and curing illness. Because of this, it has deeply received the love of the vast Tai Chi Chuan practitioners. Yang Zhen Duo, born in 1926, began studying the art of Tai Chi Chuan at age 6 with his father and elder brothers. His Tai Chi skill is consummate and demonstrated with a natural poise. Yang Zhen Duo’s disposition is tolerant and kind, simple hearted and honest. He teaches patiently, carefully and meticulously. Modest and unassuming as was his father, he has come to receive the deep admiration and esteem of Yang Style Tai Chi Chuan enthusiasts. Since the early 1960’s on, he has lived in Taiyuan, Shanxi Province, teaching Tai Chi Chuan. In 1982 he founded the Shanxi Province Yang Style Tai Chi Chuan Association, now with students in Shanxi Province alone numbering in the tens of thousands. Many times he has been invited and travelled to America, France, Italy, Germany, England, Sweden, Canada, Brazil, Singapore, and other countries to hold seminars. Making an impression at home and abroad. 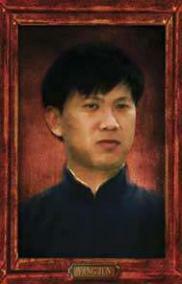 Born in 1968 in Taiyuan, Master Yang Jun is the 6th Generation descendant of the creator of Yang Style Tai Chi Chuan. 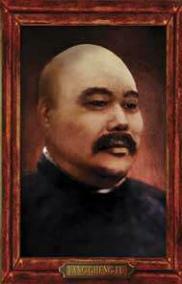 Yang Jun is the current bearer of the Yang Family heritage. Master Yang Jun began his training with Master Yang Zhen Duo when he was only 5 years old. He is proficient in Tai Chi Chuan, Sword, Saber, Push Hands, and many other forms of Tai Chi. Now, after nearly twenty years and dozens of seminars around the world, Grandmaster Yang Jun has become a teacher in his own right. His skill is unquestioned. His forms seamlessly combine softness with hardness, finesse with flair, and restraint with expression. Since 1995, Yang Jun has served as the President of the Shanxi Province Yang Style Tai Chi Chuan Association with over 30,000 members in his hometown province of Shanxi. In October 1998 Yang Jun created the International Association and has served as President since. In August of 1999 Yang Jun moved to Seattle with his wife Fang Hong to formally begin working for the International Association and to establish a school in Seattle. Yang Jun represents the first member of the Yang Family to live outside of China. 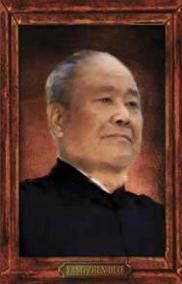 Grandmaster Yang Jun graduated from Shanxi University in 1989 with a degree in physical education. In 1995 the Chinese WuShu Academy recognized him as a famous WuShu master in Shanxi Province. In 1996 he was certified as the highest level national judge and served as the head judge at the 1998 National Tai Chi Chuan Competition in China.